A group of more than a dozen women say they've been told they have to move out from Our Lady's Guild House in Boston's Fenway Park. The Daughters of Mary, who own the building, did not return NBC10 Boston's request for comment. An official said the city is aware many elderly women have been asked to leave apartments they have called home for many years. A group of more than a dozen women, all over 50, exclusively tell NBC10 Boston that they've been told they have to move out from Our Lady's Guild House in the shadow of Boston's Fenway Park. One of those women, Siobhan O'Connor, says she doesn't know what she will do after having lived there for years. "I'm over 50, so they didn't renew my lease," she said. Some of the women have lived in the building for years, others for decades. "It's upsetting, it's hard to find housing and stuff, its the third most expensive city in the country for housing," she said. According to the City Clerk's Office, the building is owned by MRR Management, LLC, with offices on Commonwealth Avenue, around the corner from the building. Mark Roos said Wednesday he is just the real estate broker, the actual owner, The Daughters of Mary, is based in New Britain, Connecticut. "I think it is an incredible injustice," Colleen Fitzpatrick, with the Fenway Community Development Corporation, said Wednesday. "I think it is a concentrated effort to get older women out of the building." Calls and emails to the Daughters of Mary were not returned Wednesday. A lawyer said to represent them couldn't be reached either. "I think it is appalling, it is a very big injustice and its been going on for some time," Fitzpatrick said. Fitzpatrick says some women have left, in fear of eviction and the nuns. According to Fitzpatrick, those rooms now popping up on AirBNB. Other rooms are being rented to students on a short-term basis. "They have a charitable mission and I think we are asking the question, what charitable mission is being served here," she said. "It doesn't seem like this order of nuns cares that much about people who came to this building, who came here seeking shelter, safe haven." 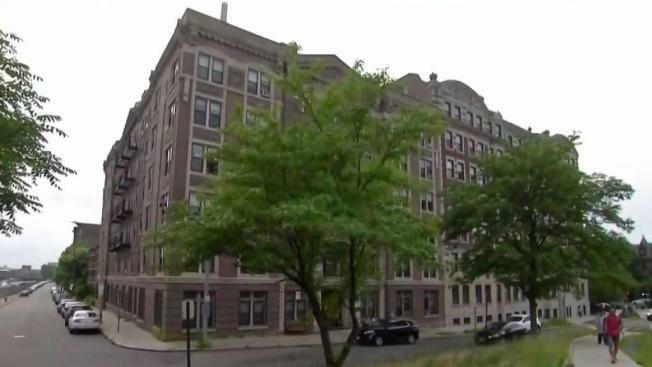 "The City is aware that many elderly women are being asked to leave apartments that they have called home for many years," Shelia Dillon, Chief of Housing & Neighborhood Development for the City of Boston said in a statement. "The City is assisting the tenets obtain necessary legal representation and is in communication with the nuns that own the property," Dillon said. "We are hopeful that a solution can be found in the very near future." O'Connor hopes that solution comes sooner rather than later. "When you are a woman of a certain age, you really don't want to room with teenagers or college students,' she said.